#229. Our first Christmas at home, just the five of us, quiet but surprisingly pleasant. #230. 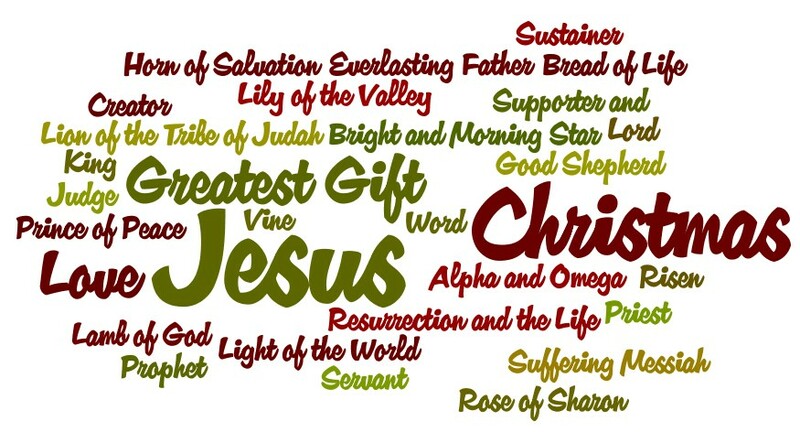 Remembering the real reason for Christmas and celebrating the best gift of all time. #231. Celebrating God with us! #232. The gift of games we can enjoy together. #233. The blessing of neighbor-friends who opened their home to us on Christmas evening. #234. Fellowship with others who love Jesus! #236. Bundling up Emahry and Jonathan for a couple hours of sledding with Tim. #238. Our first year with a Christmas tree since kids and not a single ornament broken...yet. 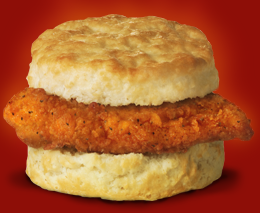 Reserve your free Chick-fil-A Spicy Chicken Biscuit coupon. From January 3 to 8, 2011, Chick-fil-A® is giving a limited number of FREE Spicy Chicken Biscuits to customers who make a reservation. Each location and date has a limited number of reservations available and I'm sure they are going fast, so sign up as soon as you can before your store runs out of free biscuit coupons! Anyone over 13 can register for a free sandwich! Thank you all for your thoughts, prayers, comments and emails regarding Tim's surgery. Here's a quick update. Tim's first surgery date was rescheduled due to a cold. His second surgery date was for today, December 27th. However, last week his cold turned into a full blown sinus infection and ear infection. The pain got so bad that Tim went to the emergency room last Monday night. The doctor there said his ear was very infected and swelling to the point of possibly rupturing. Tim was put on antibiotics to help his body fight off the sinus and ear infection. Today, instead of being in surgery, Tim is getting squeezed in at the ears, nose, & throat doctor to try and figure out what is going on with his ear. Please, continue to keep our family in your prayers as we try to get Tim back to good health. 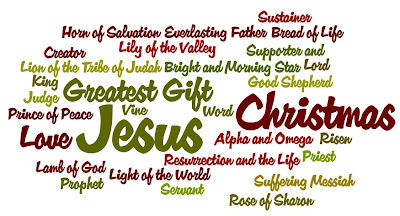 As we continue to prepare our hearts to celebrate the birth of our Lord and Savior, Jesus Christ, we pray that you will experience the joy of his love and the blessings of knowing him. Unfortunately, Tim was not able to have his surgery as scheduled yesterday because he's a little under the weather. We are hoping that the surgeon will be available next Monday so Tim will have enough recovery time before the spring semester starts. Please, keep our family in your thoughts and prayers as we reschedule and get ready for this surgery. Also, pray that Tim will feel better so he's able to be healthy enough to undergo surgery. Thank you & Have a Blessed Christmas! May you wanderings be blessed! 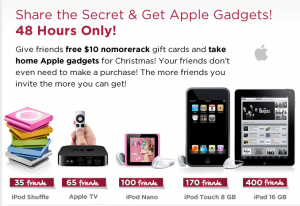 No More Rack: Earn a Free iPod Shuffle when 35 of your friends sign up! No More Rack is a new daily deal site. In order to build their customer base, they are offering ways you can earn free Apple products without spending a dime. However, you have to act fast as this promotion ends tomorrow (December 16, 2010). 1. Sign up for a No More Rack account. 2. Go to the homepage and click on the “Get Free Apple Products” button and copy your referral link. 3. Paste this link on your blog, email it to your friends, share it on Twitter or Facebook. 4. If 35 of your friends sign up by tomorrow (December 16, 2010), you’ll get a free iPod shuffle. If more than 35 of your friends sign up, you can earn even more Apple products! Details on claiming your prize are on the “Get Free Apple Products” page. **You can also get a $10 off $20 coupon at No More Rack! 1. Sign up for a No More Rack account, if you haven’t already. 2. Click on “My Profile” and then click on the “Redeem a Gift Card” link on the sidebar. 3. Type in gift card code P1070 to see your $10 credit. This credit can only be used on orders of $20. Shipping is $2 per item. They are almost completely sold out of everything today, but they’ll be restocking with new deals tomorrow at noon. I’m not sure how long this coupon code will last, so you probably want to go ahead and add it to your account. Growing up, our stockings were always filled with small but welcomed surprises. Recently, however it appears that most items marketed as "stocking stuffer" should really be categorized as "money-wasting junk." 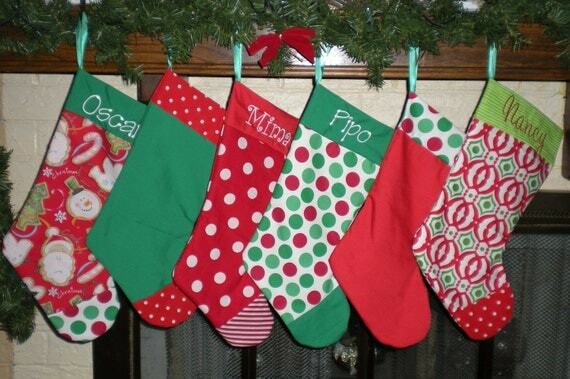 This year we are filling stockings with higher quality items that will actually make it passed Christmas morning. Are you looking for some small gifts to stuff into stockings for Christmas? Here are few ideas. - hairbows, elastics, bands, etc. - crayons, markers, mechanical pencils, etc. Do you have any more ideas? We'd love some suggestions (especially for men) as we (I) are still picking up items to stuff into stockings . Songs for Saplings CDs for Christmas ~ 20% Off, Order Now! We just wanted to remind you that if you are planning on ordering Songs for Saplings CDs for Christmas make sure you place your order no later than this weekend if you're choosing first class shipping, and Tuesday if you're opting for priority mail. Remember you can get 20% OFF by using the coupon code heartforhome (this code will work on the 12-pack bundles as well as the singles and smaller bundles.) These CDs make wonderful gifts for young children and families. Through tomorrow (12/16) you can also enter to win Songs for Saplings Questions with Answers 3 CD Set. I'm salivating over my computer keyboard right now. Visit Picky Palate for the recipe and more mouth watering photos. This simple recipe has only a handful of ingredients and would be easy even with little helpers perched tiptoed atop chairs at the kitchen counter. 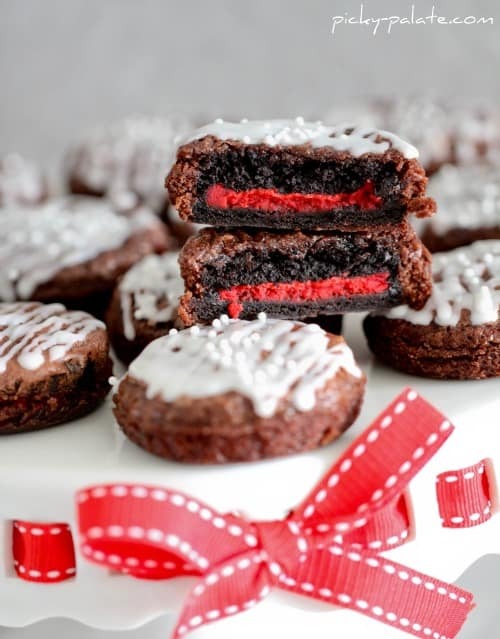 These would also made great treat gifts for friends and neighbors. Do you have any special holiday treats? Do share your recipes and links by leaving a comment. The Groupon offer from Redbox has been extended through the end of today! You can purchase a Groupon code for only $1 which is good for three rentals at Redbox. This code expires March 10, 2011 and is a limit of one per person. Valid at physical kiosk locations anywhere in the US. Valid for first night rental only. Not valid for video game or Blu-ray. Card will be charged with rental is not returned by 9 p.m. the next day. Photo Credit: I'm posting from my sister's laptop and found this beautiful picture of her. 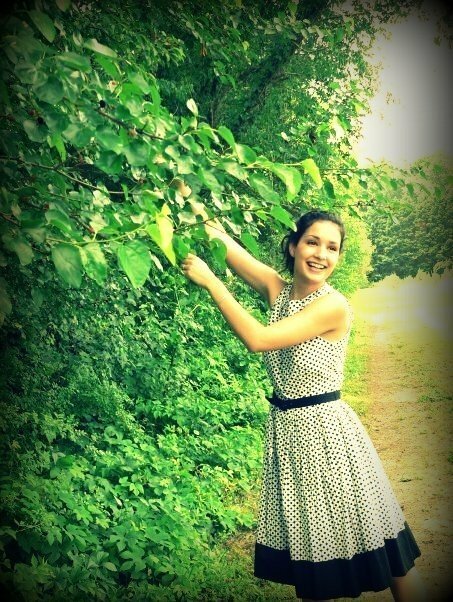 One of her friends took it a couple of years ago. Isn't she pretty!? Looking for a gift for a little girl, teen girl, away at college girl, just starting out on her own girl, or just about any other girl? If so, right now you can get this Amethyst Sueded Throw Comforter for only $1.99 shipped! The blanket is washable amethyst polyester suede lined with lilac cotton backing. It measures 50" x 60". This blanket is on sale for $6.99 (reg. $39.99). Enter the coupon code CHNEG5 to get $5 off plus free shipping. 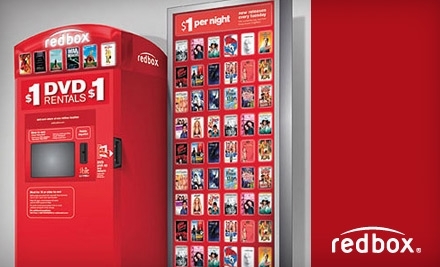 Get 3 Redbox rentals for only $1 with today’s Groupon ($3 value). Our family loves Groupon for local deals, but Groupon has national deals too, and this is a great one. There are limited quanity available so get it while you can! Shop It To Me is offering a $10 gift card to Old Navy, Whole Foods, Starbucks, Amazon or other stores when you refer 10 friends. Just sign up for a Shop It To Me account, if you don’t already have one. And then refer ten friends by emailing them, posting your link on your Facebook page, posting a link on Twitter or posting your link on your blog and you’ll receive a $10 gift card of your choice for every ten friends who sign up. Your gift card will arrive by mail once ten friends have signed up. Congratulations to Tina...Mommy of lotsa boys! You've won a Katydid Cloth diaper. Look for an email from us soon. Here are the latest three Green & Clean giveaway winners. Congratulations! Thanks to everyone who entered. 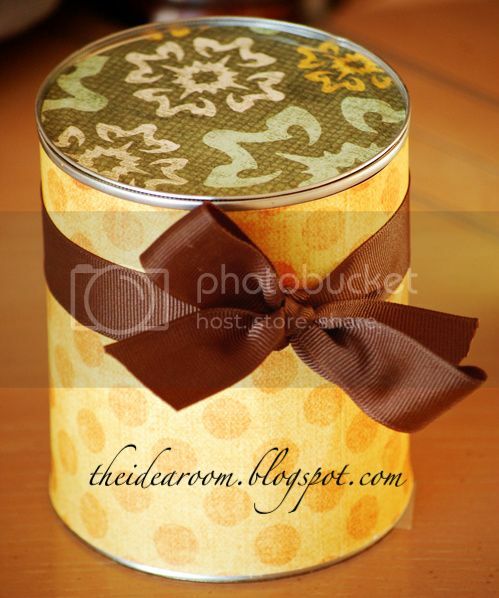 By sure to check out the current giveaways posted at the top our our blog! 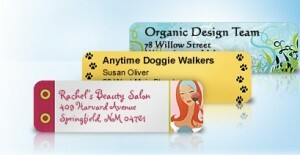 140 Address Labels for only $3.11 Shipped! Right now you can get 140 Address Label for $3.11 shipped! Here are some ideas for different ways you can use these labels. 1. 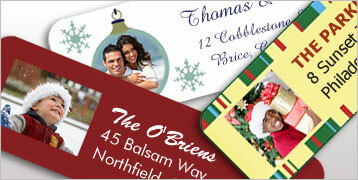 Go to VistaPrint and choose the 140 Free Return Address Labels option. 2. Type kids into the search box on the left sidebar. 3. Select your favorite design. 4. Use the Advanced Editing option to change the font style and size. "Jonathan, get a baby wipe to cover Baby Jesus. He looks so cold!" Emahry's little voice drifts in from the living room to where I stand washing dishes. Little feet race down the hall to retrieve a flannel wipe. "I hope he gets a clean one," I think to myself. The feet fly even faster back into the living room. "Thank you," says Emahry, "now we can wrap him nice and warm like Daddy and Mama do with us." They continue to play with the nativity scene that is purposefully placed at their eye level on an empty corner TV stand. Interacting with Mary, Baby Jesus, the manger and three sheep--our growing collection of Fontanini figurines. I'm taken back to my own childhood. To another nativity scene. Large Fontanini figures, not high up on an unreachable shelf, but placed on an end table where we were allowed to touch and take for our own imaginative play. I'm so thankful that my parents have helped us carry on that tradition by purchasing a new piece for our nativity each Christmas. Fontanini nativity pieces are made of a specially formulated polymer that captures fine detail but will not chip or break. One of my favorite parts...Baby Jesus is not connected to the manger. Growing up, Baby Jesus never occupied the manger in the days leading to Christmas. Early on I can remember waking to Jesus' miraculous appearance in the manger. As we grew older the tradition evolved to all of us children, filled with anticipation and excitement searching the house to find Baby Jesus and place him in his hayfilled manger. To find Jesus. Isn't that still the purpose of celebrating Christmas? Praying you'll find him this Christmas season. 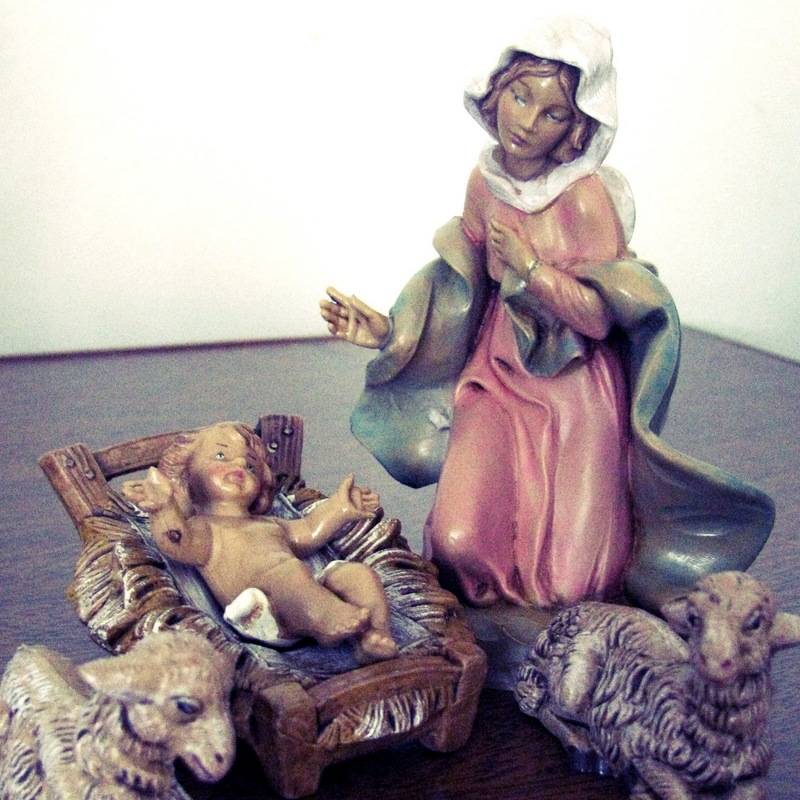 How can you help your children personally interact with the Christmas story this year? You can sign up for a Free Sample of Emergen-C BLUE. See our Emergen-C review here. Also, on a completely different (non-healthy, but oh so yummy) note, you can also get a free Free Original Glazed doughnut from Krispy Kreme. Click on the image above to view all of the holiday deals at Dockers.com. You can also sign up for their free newsletter to receive a free shipping promo code. In a little less than two weeks my husband, Tim, will be undergoing reconstructive foot surgery. This will be Tim's 5th foot surgery and will hopefully be his last surgery for quite some time. 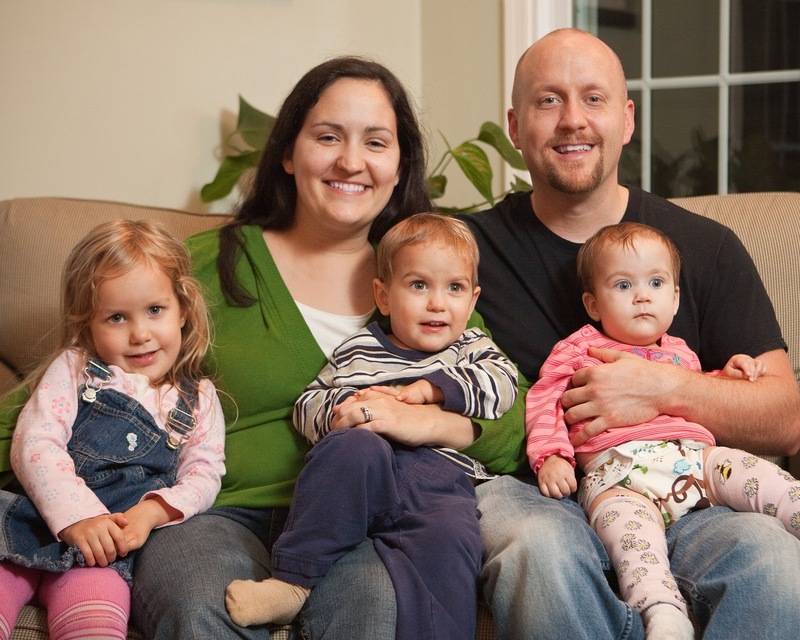 Tim's first four surgeries were preformed when he was a child and are now very outdated. This surgery will remove screws that were inserted during Tim's last surgery (20 years ago now). Tim's heel bone will also be removed, relocated and supported by new plates and screws. Tim will also have tendons added to his collapsing foot to stabilize and hold his foot in the proper place. Needless to say, this is a very painful process. However, Tim will be released to come home the same day. While he painfully deals with three weeks of complete bedrest, the kids and I will learn the art of loving Tim in sickness. I know this will be a difficult time for Tim as he is forced to spend more in bed in those 3 week than he normally spends in almost 3 months. I know this will be a difficult time for our children who won't be able to understand why Daddy can't hold them or get out of bed. I know this will be a difficult time for me as I'm called to lovingly care for my husband, children and home without any type of break. Looking to this surgery makes my heart go out to single parents everywhere. I don't know how you do it. I know that it'll only be by the grace of God that I make it through even one day. Thankfully, God is faithful! He will not leave me alone. He will be the strength I need. He will strengthen me through his power and his unfailing love. I believe in who he is! I will not be dissappointed! Please, keep us in your prayers. God works through prayer. He gives them hands and feet to do his good will. Do you have any advice for how we can minister to a loved one who is confined to bed? How about how to help young children through the difficulty of not being able to play with Daddy? What about ways I can prepare my home and heart to keep from becoming overwhelmed? Any suggestions would be really appreciated! Abe's Market: 20% Off + Free Shipping, Tonight Only! For the rest of tonight you can save 20% on everything on AbesMarket.com with their Share It price by simply emailing three friends what is in your shopping cart. But wait it gets better. Abe's Market is offering Free Shipping on top of this one day deal! May your wanderings be blessed! 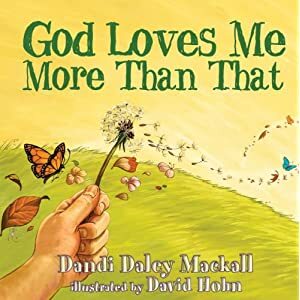 God Loves Me More Than That by Dandi Daley Mackall is an adorable children's book about the vastness of God's love. This book depicts a beautiful and heartfelt child-like faith. Filled with beautifully vibrant illustrations each page spread describes the highness, bigness, deepness, wideness, loudness and softness of God's love. The easy flowing rhythm and short lines make this book a read aloud favorite and also make it great for beginning readers. We are very pleased to add this book to our shelves. Our children have already asked us to read this book several times and it only arrived yesterday! I think God Loves Me More Than That would be a great addition to any child's personal library and would make a great gift this holiday season! Wow, it's already December 3rd. I kept thinking today was the 2nd. Today's Eversave (available today, tomorrow and Sunday) is a $30 voucher to Pinhole Press for only $15. If you haven't made a purchase from Eversave yet, you're sign-up credits will be applied and make this deal only $13! If you haven't signed up for Eversave yet, head here to do so. You'll automatically get the $2 credit added to your account. Pinhole Press carries beautifully crafted photo gifts that make great presents for kids, moms, dads and grandparents. Make personalized calendars, holiday cards, notepads, journals, photo books and more in bold colors and beautiful designs. All of Pinhole Press' products (say that 5 times fast) use eco-friendly papers and inks! The best part is that until December 31st, 2010 shipping is FREE! Sorry for being so late in announcing! Winners can expect an email from us by the end of the day. Thanks to everyone who took time to enter! There has been a little bit of a buzz about Songs for Saplings on some of my favorite blogs, Heavenly Homemakers and The Finer Things in Life and I couldn't be more pleased. Since we first reviewed these CDs over a year ago they have been some of our favorite CDs to listen to. We are so excited to be working with Songs for Saplings again to share a set of their wonderful CDs with one of our readers and to offer all of you a 20% Discount on all of Songs for Saplings' CDs. The music from Songs for Saplings is designed to help you teach your children about God. Songs for Saplings: ABCs is designed to teach your little ones the word of God as they study their ABCs. 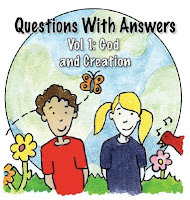 There are also three Questions with Answers CDs that help to teach children basic Christian doctrine all through using Bible verses and explanations set to simple but catchy tunes. 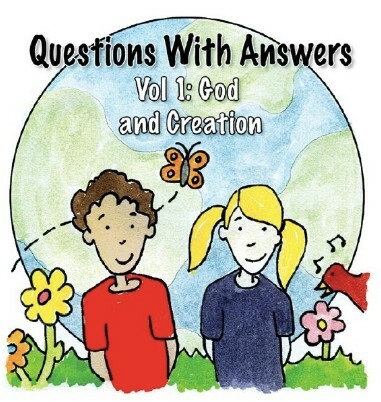 Volume One: God and Creation contains the truths about God and His creation, included: what God did, why he did it, who we are, and how we should think and act. Volume Two: The Fall and Salvation talks about what went wrong with the world, and what God did to fix it. Volume Three: Christ and His Work explains why God sent Jesus, what work Jesus did to accomplish our salvation, and what He does still today. You can hear song samples and download copies of the chords and lyrics on the Songs for Saplings website under each CDs individual page. Our children LOVE these CDs and ask for at least one of them daily! How could I possibly refuse when they are learning so much about the God who loves them? I might be learning a thing or two as well. Special Offer: Perhaps some of your children would enjoy these CDs, too? Right now when you buy CDs from Songs for Saplings you can get a 20% discount by using coupon code heartforhome at checkout. This includes the 12-pack bulk pack which would be great for gift-giving. This excludes the 24 and 48 CD bulk packs, which are already heavily discounted. Win It: Songs for Saplings has offered the entire 3 CD Questions with Answers Set to one of our readers! US addresses only. 1. Visit their website, then come back and tell us for whom you'd like to win these CDs. The giveaway will end Thursday, December 16th at 11:59pm EST. We will pick the winner through random.org. Mamapedia is a daily deal site much like Groupon and Eversave. However, in addition to getting great deals a percentage of each purchase is donated to the school or preschool of your choice! If you sign up now you'll receive a $5 credit to put towards your first purchase. If you’ve not purchased from them before, you can get $3 off your first purchase when you use coupon code HOLIDAY3 at checkout. This is only valid on your first purchase and is valid through December 14, 2010. So, go sign up to get $8 off of any of their deals until December 14th! only $6 with both credits! only $2 with both credits! only $4 with both credits! 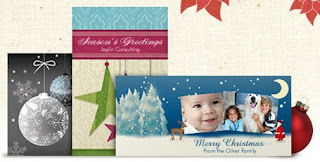 Vistaprint is offering 50 Holiday 4x8 flat cards for only $12.99 with FREE 7 day shipping. Extending warm wishes this holiday season has never been easier. 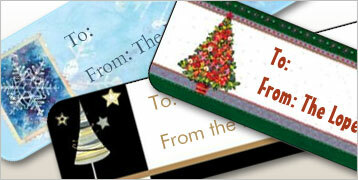 Create your cards in minutes and receive them in just a few days! Choose from styles like traditional, modern, fun, elegant and more. Share up to 6 of your favorite shots with our holiday photo cards, available in single and collage. The special price includes 50 blank white envelopes.